OurDreamWedding's Wedding Articles, Tips and Resources includes many articles and book recommendation to help our brides and grooms with wedding planning. From time to time you will also notice a Special Offers section, where you will be given information on great offers and/or events happening with other vendors and websites. We will keep you updated on all other upcoming features as well-- so stay tuned! The Bravo Wedding Organizer is truly a system that'll have the bride completely on-track throughout the course of her engagement. 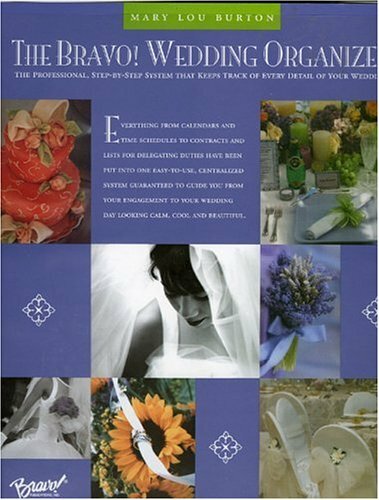 This 3-ring binder comes complete with pockets, checklists, fresh planning advice and tips to help keep you organized through every task and pre-wedding event. For more details or to purchase this book, click here.